Sirène is, without a doubt, one of the most incredible nail polishes in the ILNP Ultra Chrome family. Sirène magically shifts through spectacularly vivid hues of green, blue, violet, red, and even offers subtle hints of gold depending on the angle of your fingertips and the type of lighting you’re under! 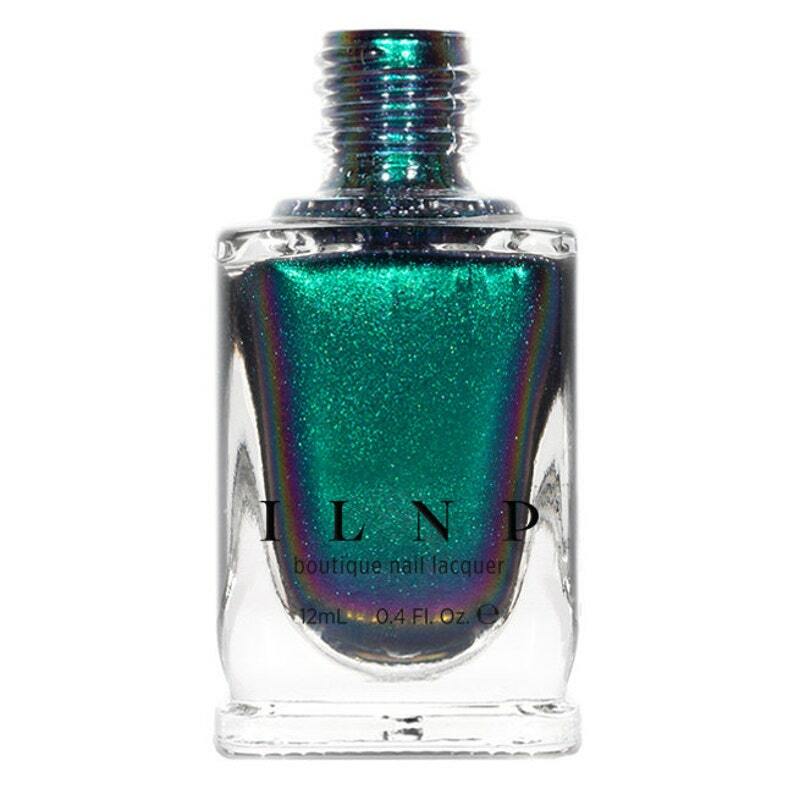 Sirène is part of ILNP’s "Ultra Chrome" class of multichromatic nail polishes; formulated to apply directly to the nail without the need for a base color. Please be advised that this listing is for 1 (one) bottle of Sirène multichrome nail polish. Any base colors used in swatches and other photographs are not included unless otherwise stated. This is a beautiful color with a great color shift. It goes on smoothly. It lasted beyond my expectations without chips or wear. Have 5 polishes from this brand now and must say they perform very well with or without a base color underneath. Fast shipping too!